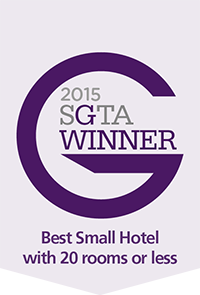 The Crusoe Hotel are delighted to have the award for The Best Small Hotel at the Scottish Golf Tourism Award 2015. The Kingdom of Fife boasts over 45 famous, historic and challenging golf courses including the Old Course at St. Andrews and some that are right on our doorstep. Our staff have a good knowledge of the surrounding golf courses and are happy to assist visitors with further information and tee-time bookings.